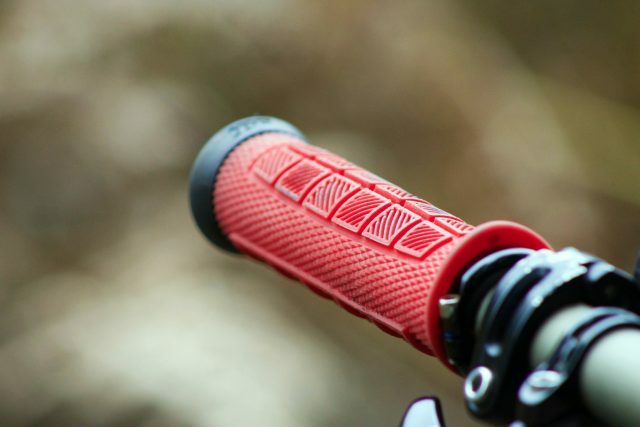 ODI Grips is one of the biggest companies when it comes to making grips for off road two wheels sports. Having been in the industry for over 25 five years with a heritage in motocross before designing very successful cycling products, the company’s most notable innovation was the original lock-on grip design, which is now the standard when it comes to securing grips to handlebars. Of course ODI’s Ruffians are the grips that have been imitated but never replicated, and it is still the company’s best selling grip. In 2015 though, ODI released three new grips under the Elite label aiming to bring new customers in with a new profile, but retaining the much-loved characteristics of the Ruffian. In the Elite grip range there’s the Elite Motion (thinnest), the Elite Pro (medium), and the Elite Pro (thickest), all of which feature the iconic knurl pattern of the Ruffian. Oh, and if you’ve sworn you’ll never ride with anything else, the good news is that ODI has kept the original Ruffian in the range too. I’ve been testing the thickest option of the new Elite grips, the Pro, which uses a double-sided waffle pattern on the top and bottom. It also has diagonal lines of rubber on the upper boxes to add extra support to the hands. 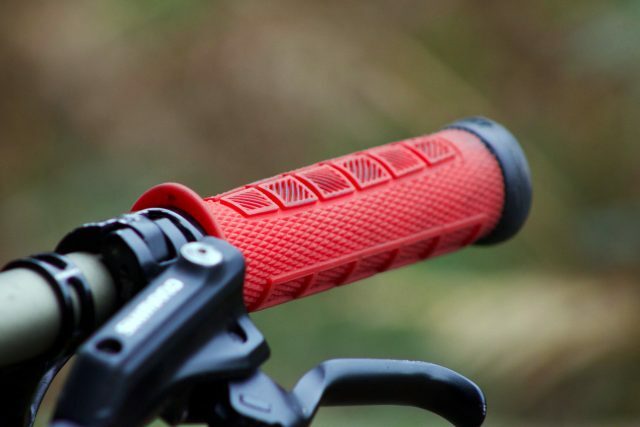 The grips have more rubber on the top side to provide added cushioning against trail vibrations. These are marketed as having ‘more padding without the bulk’, meaning that you get the comfort without feeling as if you’re using a super-thick commuter/touring grip. Another useful design feature is the single lock-on clamp, which keeps the grip from turning into a motorbike throttle while removing the outer collar you’d have on a standard set of lock-on grips. These grips are 130mm long, but subtracting the lock-on clamp’s dimensions leaves 123mm of usable surface. At their thickest point, the grips measure 32mm, and 30mm at their thinnest section. And finally, these grips are available in six different colours. Double the Waffle – Double the grip! 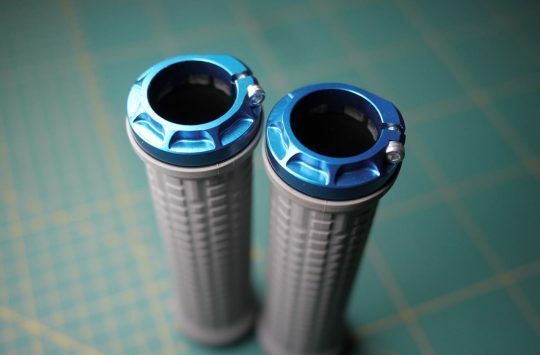 The Elite Pro grips were developed in conjunction with Curtis Keene, an enduro world series racer. 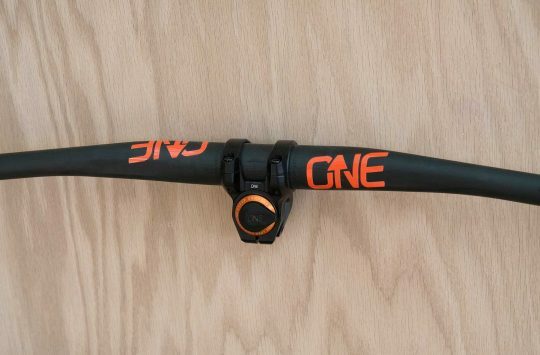 But before you think that these are ‘Enduro specific’ (at least they’re not e-MTB specific…) these grips have been designed for anyone who wants extra grip and padding, but isn’t fussed about a little bit of extra weight. I normally use a set of DMR Deathgrips in the hard compound option, but have been wanting to try out a grip with a dual sided waffle pattern to seek out a little more cushioning. With the ODI Elite Pro grips, I certainly haven’t been disappointed. They fit my hands perfectly, and those 12 small boxes add an unexpected amount of padding and dampening to trail buzz. This is welcome for me, as I tend to ride without gloves, except for in the absolute coldest of conditions. 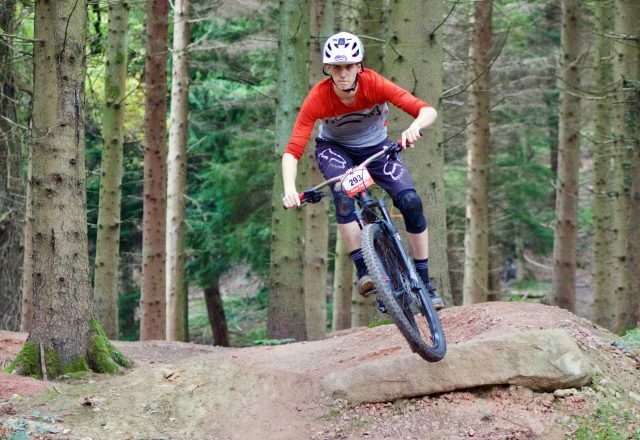 Despite riding gloveless though, I can say that on hot summer days with sweaty hands, I’ve still had a load of traction and haven’t been concerned about my hand slipping off – something that I have experienced with some other smaller and less textured grips. Although I think these are excellent grips, I do have a single gripe. That gripe is the rubberized end cap, which angles up and protrudes above the rest of the grip. 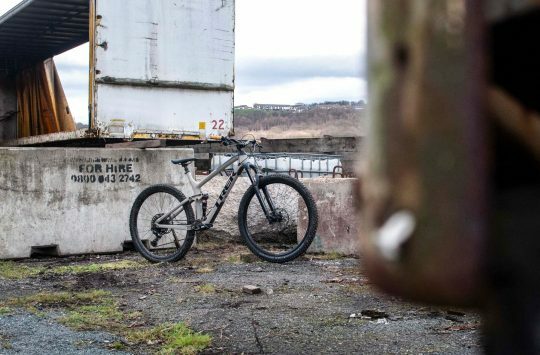 Like the inner flange, this raised edge can help to provide a tactile indication of the end of your bars without you having to look down – useful when riding tree-lined trails that are just calling out to catch you by the handlebars. 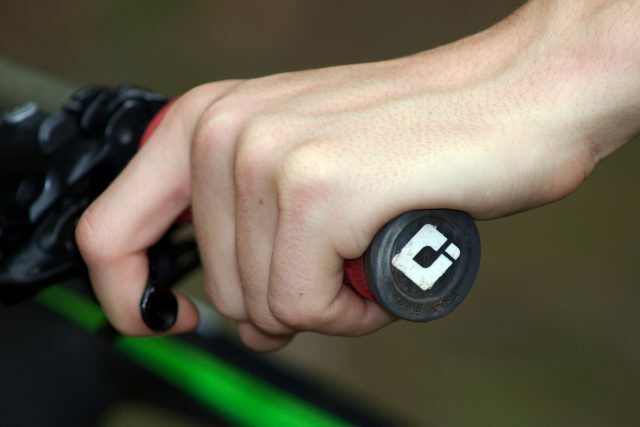 However, because I ride with my hands at the very end of each grip, I found this angled edge to be a little uncomfortable as it would push into my palms. That meant I had to run my hands further inboard, reducing the usable width of the grip and – in my opinion – defeating the point of the single lock-on clamp design. As I mentioned before though, some riders actually quite like this design feature on the Elite Pro grips, and my experience may say more about my delicate hands than the grips themselves. Despite this small in convenience, they are still great grips. All in all, I have found my new favourite grips in the ODI Elite Pros. Personally, I’d like to see the grips feature a smoother taper on the end, much like the AG-1 grips that ODI also offers. That aside, these have helped be see the light that fatter grips can be a very good thing, especially when it’s done in such a way that they don’t actually feel that thick. These are the best grips in the world.